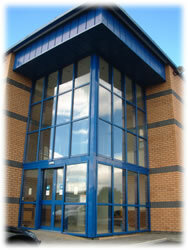 Based in Telford, Shropshire and Established in 2003, Severnserve Ltd offers across-the-board I.T. solutions to businesses of all sizes. The directors and management have a solid technical background and have many years experience in the field of I.T and we are dedicated to providing the best service possible using the most up to date technology available. Web design, web hosting, server hosting, network installation and internet connectivity form the basis of our business. We will undertake contracts of all sizes for both the home user and large business alike to provide the most cost effective solution possible.